ClopiroxTM Cream is indicated for the topical treatment of the following dermal infections: Tineapedis, Tineacruris and Tineacorporis due to Trichophytonrubrum, Trichophytonmentagrophytes, Epidermophytonfloccosum and Microsporumcanis, candidiasis (moniliasis) due to Candida albicans and Tinea (pityriasis) versicolor due to Malassezia furfur. Clopirox™ Cream is also highly effective against some gram negative & some gram positive bacteria. Owing to its anti-inflammatory effects, CiclopiroxOlamine alone is sufficient to treat mild to moderate inflammatory fungal infections. ClopiroxTM Cream should be gently massaged onto the affected and surrounding skin areas twice daily for four weeks. 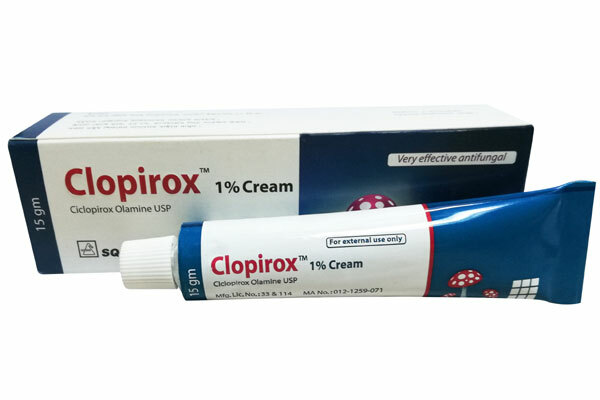 ClopiroxTM Cream: Each pack has a laminated tube containing 15 gm.